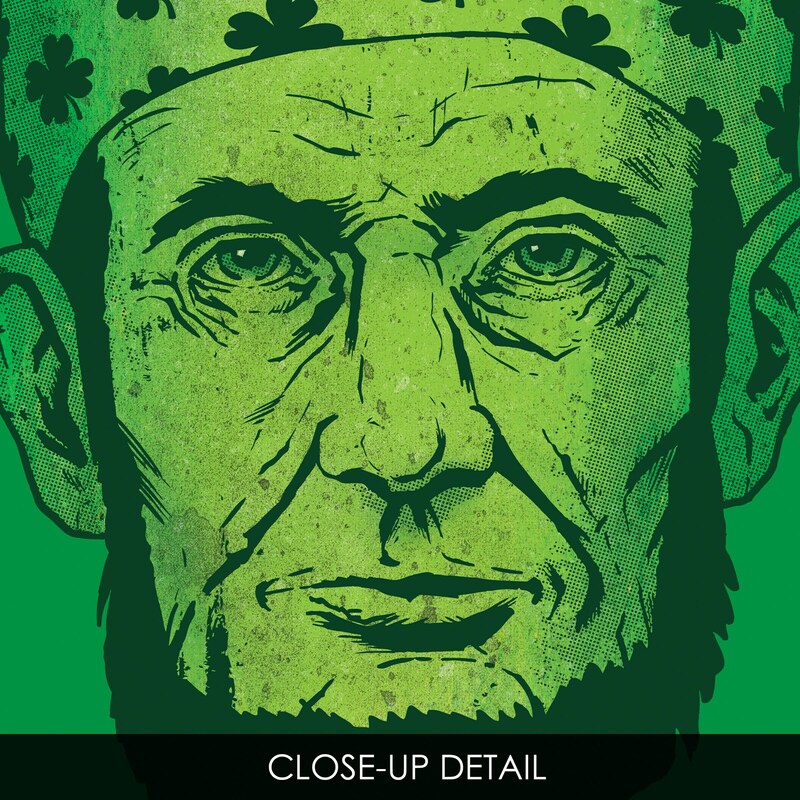 "Lucky Lincoln" art print by Rob Ozborne. 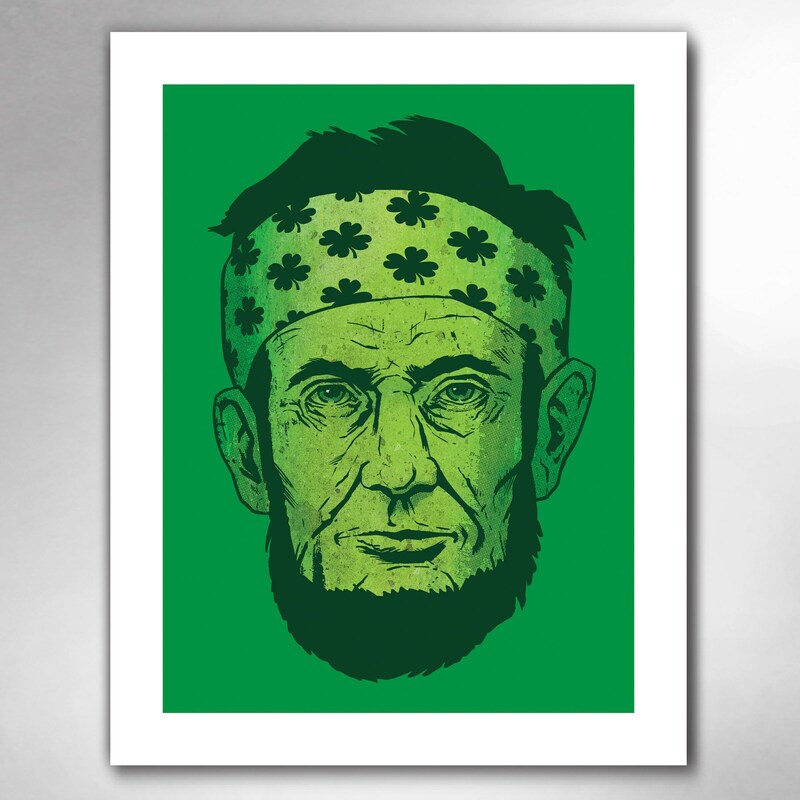 THE STORY: Abe's feeling lucky, and you can feel lucky, too. THE PRINT: The artwork is printed on bright white matte art paper. The colors are lush. The frame is not included, but the print comes with a white border, and ready to pop into a frame. SHIPPING & HANDLING: Great care is taken in preparing your print. Placed in a protective archival sleeve, gently rolled and well protected, your artwork ships in a sturdy tube.